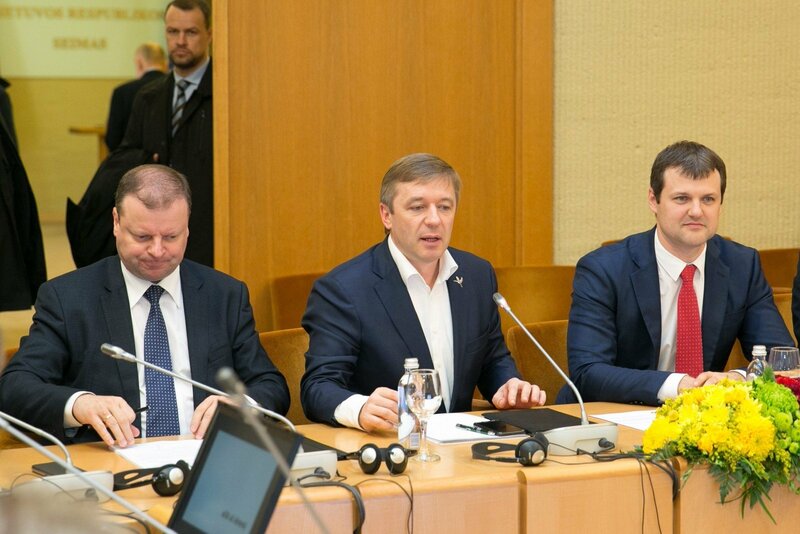 Prime Minister Saulius Skvernelis stated that he is certain the Social Democrats will propose to withdraw from the coalition and without waiting for this fact he is considering potential alternatives which could ensure stability for the state. "This should be considered by political scientists and analysts, but I have absolutely no doubt what the party council decision will be, knowing the moods and ongoing actions of the chairman and his current entourage. It will definitely be a proposal to withdraw from the coalition," S. Skvernelis said, commenting on the Delfi project "Most Influential". During an interview with Delfi the Prime Minister stated he has no doubt what the proposal will be, however did not hazard a guess as to how the political powers will distribute themselves and what the final decision will be, however he does not intend to wait for the decision to be made and only then seek ways out. "We definitely cannot wait and will not wait to be faced with the fact. We have to do everything within the scope of cabinet and state stability to avoid potential political crises. Due to this I believe that we have to either secure new partners, if such a decision is made or at least support from members of Seimas, enough of them so that we could at least successfully work in the autumn session and after that look at our options – a minority cabinet, new coalition, renewed coalition with the Social Democrats, everything is possible for now," Skvernelis said. When asked about discussions with Conservative leader Gabrielius Landsbergis and the Electoral Action of Poles in Lithuania, the PM noted that it is important to find consensus regarding core reforms – both continuity for current ones and new ones. "I am equally also talking with Liberal chairman Remigijus Šimašius, just the same with the Social Democrat group members," S. Skvernelis said, albeit not describing it as a search for new coalition partners. S. Skvernelis describes working as the Prime Minister as a commitment to voters rather than a dream job and given the first chance he will not slam the door and leave. "I definitely would not do so just for the sake of it. I wish to do work. 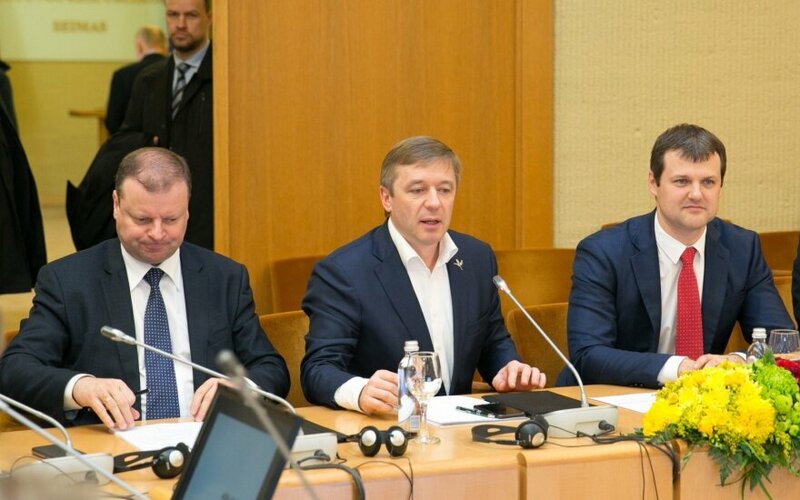 If it were that we saw we cannot accomplish any work, that means that the cabinet no longer has support in Seimas, as such this sort of decision would have to be made because otherwise it would appear nothing else can be done," S. Skvernelis said. However the current situation is not like that the head of cabinet pointed out. "Today I believe that we can do and seek compromise, where we can seek it. We will definitely not seek compromise with those who see politics or representing their own interests through a criminal prism. We will not change in this respect. But everything else – seeking compromise and agreement – is necessary and I definitely prepared to work," S. Skvernelis said. The PM admitted he has made mistakes in his work "likely due to this inexperience." "Perhaps the greatest problem and mistake is a lack of familiarity with political conjuncture, behind the scenes knowledge. It is perhaps necessary to also work more individually with partners in politics, both in the coalition and the opposition and sometimes perhaps not seek quick results. If you see that there is a stumbling block, perhaps work in stages, though of course you want a maximum result and focus on it, perfectionism can perhaps be harmful sometimes," S. Skvernelis said. S. Skvernelis does not reveal whether he will participate in the upcoming 2019 presidential elections. "I am only concerned with one thing currently – successfully implementing the cabinet programme. The time will come when each politician will have to make their decision and announce it and that will be done," he said. However the PM noted that the electoral campaign has already begun and admitted that it is obstructive. "I certainly see a number of politicians lining up, intent on becoming the next president, I certainly wish them the best of luck. (...) It is still a fairly long period to the elections, it is unfortunate that the electoral campaign, having just begun, is beginning to be obstructive – there is a visible intent by political opponents, colleagues, to bring down potential rivals, including in ratings, but such is life," S. Skvernelis said. The Prime Minister denied any political tensions existing with Lithuanian Farmer and Greens Union chairman Ramūnas Karbauskis or that the latter commands him. "I will have to disappoint those fond of intrigue and conspiracy theories. The government is working based on clearly outlined constitutional principles of separation of power. The cabinet is accountable to the Seimas and president and acts within its authority. No-one commands me or can command, never has, except that I am bound by my responsibilities and commitments to the law," S. Skvernelis said. He admitted that his opinions do not always match R. Karbauskis', but described him as a comrade. "We are comrades with Ramūnas and those looking for intrigue, that we are clashing or lunging at one another's throat, that will not happen. We have differences of opinion, they differed even before the elections, but we definitely have the same goal and the commitments we made to the people that we are accomplishing," S. Skvernelis said. Delfi presents its exclusive project Most Influential in Lithuania 2017 for the third year in a row. S. Skvernelis is second on the list of the most influential politicians in the country, both according to politicians and the public. A seven part cycle will reveal who the most influential politicians, businessmen/economists, officials/lawyers, news media representatives, public figures, sports and pop culture representatives are. The project will be crowned by a list of the most influential figures in Lithuania overall on September 4.